"Recently returned, Major J. Watson Colpitts, one of the first, if not the first, to enlist in the Tenth Light Horse. Leaving Australia with the original regiment, the Major, after serving on Gallipoli, where he was severely wounded, went to France. He spent 12 months with the First Anzac Corps and two and a half years with the Third Division. He was altogether five years and five months abroad. He has just spent a fortnight in hospital, but is now himself again and has resumed his civilian occupation of a farmer at Winchester on the Midland railway." 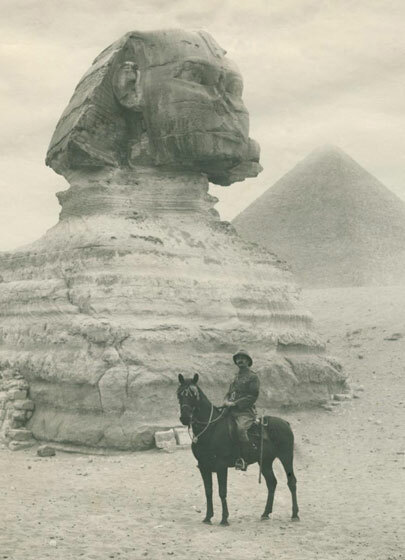 "Joining the 10th Light Horse in September, 1914, as a trooper and serving in the A.I.F. till March of 1920, J. W. Colpitts came home with the rank of major, holder of three Great War medals and three times mentioned in despatches. With the famous 10th he served in Egypt and Gallipoli and for three years he was with the 1st Anzac Corps in France under General Birdwood and with the 3rd Australian Division under General Monash. Prior to the Great War he had had an active and adventurous life. For five years, 1894-9, he was with the English police and fire brigade. Then he served through the South African War, joining ae a trooper and ending up as sergeant-major. For a time be was in the South African mounted constabulary and in due course was promoted to Chief Detective Superintendent for the Orange River Colony. After farming for some time in South Africa, he returned to England and later in 1913 took up land at Winchester. W.A. This week Major Colpitts decided to continue his active and adventurous life and joined the staff of Alfred R. Sleep, the well-known private inquiry agent." "A most interesting personality is the fine, upstanding Major J. W. Colpitts, a soldier of two wars - the Boer affair and the stunt more recently promoted by Kaiser Bill. Major Colpitts is living in Perth after 23 years on the land at Winchester, with a break on service overseas, and before that was engaged in agricultural pursuits in South Africa. He is one of the finest horsemen in Australia, and may be remembered at the time when the Tenth Light Horse gave a gymkhana at Claremont prior to embarking for Egypt, the Major giving a demonstration of horse-handling seldom equalled outside the circus ring. Major Colpitts is a gentleman with a rich experience of all agricultural and stock-raising activities, and in the easy, quiet, manner which distinguishes him can interest any audience at any time on almost any subject."